TEL AVIV – Former president Bill Clinton confessed to Israeli television that he tried to help Shimon Peres defeat Benjamin Netanyahu in Israel’s 1996 general elections. In an interview on Channel 10 news that aired Tuesday, Clinton admitted that he tried to help Peres win the election in a way that didn’t “overtly” implicate him, and that he did so because Peres was more committed than Netanyahu to the so-called peace process, which had suffered a huge blow with the assassination of Yitzhak Rabin six months earlier. “I tried to do it in a way that didn’t overtly involve me,” he said, without expanding on exactly how he intervened. Despite polls indicating a victory for Peres, Netanyahu ended up narrowly winning the May 1996 vote, with many analysts saying a slew of Palestinian suicide bombings that hit the country turned the electorate toward the right. 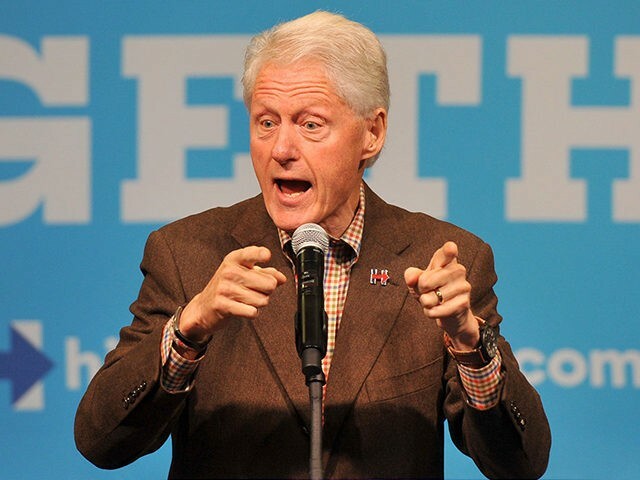 Clinton laughed, then added: “And he was being very ‘Bibi,’” using Netanyahu’s nickname. Clinton has never tried to hide his dislike of Netanyahu. The right in Israel has accused the U.S. — and in particular Democratic presidents — with interfering with local elections. The last time the finger was pointed was during the 2015 elections, when activists tied to the Obama administration were charged with trying to thwart another win for Netanyahu. The effort failed and Netanyahu kept the position he’s held since 2009. Clinton said during the TV report that Netanyahu’s government doesn’t consider the Palestinians to be much of a threat under Palestinian Authority President Mahmoud Abbas. “By the time prime minister Netanyahu got back in office [in 2009] the security situation was markedly better on the West Bank because of President Abbas,” Clinton said. “I still hope that some day, if some decent accommodation could be reached, that Israel would be even more prosperous,” he added.